Car audio has gone through a lot of growing pains over the last century and change, and we've seen a bunch of different technologies come and go during that time. 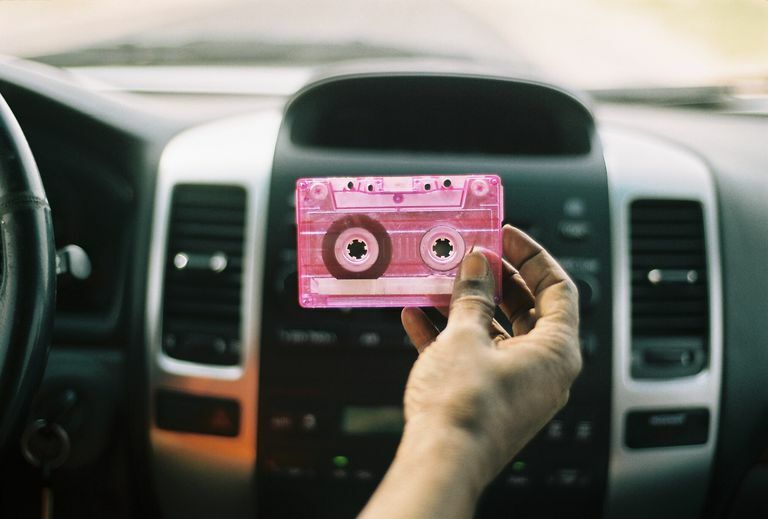 The cassette tape had more staying power than most, with cassette decks coming as standard equipment for the better part of three decades, but the day has finally come when you actually can't play cassettes in new cars. Or, at least, that's what the car manufacturers want you to think. While it's true that new cars no longer come equipped with cassette players, there are still viable ways to listen to your cassette collection on the road. Can You Still Listen to Cassettes in New Cars? There are a few different ways you can listen to the music on your cassette tapes in a modern car audio system, but none of them are particularly elegant. The path of least resistance and the easiest way to listen to cassettes in your car involves connecting a portable tape player, like a Walkman, to your head unit. This can be accomplished via a built-in auxiliary input, or you can install an FM modulator or FM transmitter. Strangely enough, these are the same methods used to connect newer tech like CD players and MP3 players to older head units, but they work just as well the other way around. Another viable option is to digitize your cassette collection and upgrade your head unit to a model that has built-in storage or a USB connection that can be used with a thumb drive. This is a labor-intensive way to go, but it’s cheaper than repurchasing your entire collection on CD or in a digital format. Although the last vehicle equipped with an original equipment manufacturer (OEM) cassette deck rolled off the line years ago, the format isn’t completely dead yet. The important thing to remember here is that while the OEMs abandoned the cassette format, there will always be room in the aftermarket for car cassette decks as long as there are people who want them. If you're willing to junk your cassette-less head unit, it's still possible to find brand new aftermarket cassette decks, and some of them even include CD players, MP3 playback, and other modern features. Of course, you’re not going to find a head unit that plays both cassettes and CDs if you’re locked into the single DIN form factor. If your head unit is “the skinnier kind,” or about two inches tall, then that’s what you have. In that case, you have to choose between either cassette or CD and then use an auxiliary input to connect the other if you really want it. When cassette decks were still ubiquitous, and CDs were just starting to make large gains in market share, a whole range of different options popped up to provide backward compatibility. Auxiliary inputs, FM transmitters, cassette tape adapters, and other options all provided the ability to play CDs on tape decks, and all of them—sans the cassette adapters, of course—will also work the other way around. The easiest way to play your cassettes in a car that doesn’t have a cassette deck involves an auxiliary input, which is a feature that not every head unit offers. This input looks like a headphone jack, and you can connect it to the headphone jack on a portable tape player with a male-to-male TRS cable. If your existing head unit doesn’t have one, then you may want to look for a replacement that does. FM transmitters are also pretty easy to use, although they can be a little touchier. For instance, they don’t work all that well in urban areas where the FM dial is full of high-powered stations. In those cases, you’ll have trouble finding an open frequency, and you’ll end up experiencing interference. If your head unit lacks an aux input, and you get too much interference with an FM transmitter, and buying a new head unit is outside your price range, an FM modulator will do the trick. Modulators are similar to transmitters, but they effectively allow you to install an auxiliary input by tapping into your car radio's antenna. If you have a high-quality tape deck at home and some time on your hands, then you might want to think about digitizing your collection. This method involves hooking your tape deck up to your computer, recording your tapes, and then compressing the files into MP3s. Once you have a collection of MP3s on your computer, you can transfer the files to a USB thumb drive, which can be connected to the USB port of a compatible head unit. A decently sized thumb drive can hold thousands of songs, so the main drawback of this method is that it is pretty time-consuming. Of course, digitizing your cassette collection also has a huge benefit, in that cassettes tend to wear out through use and the simple passage of time. By digitizing your collection for use in your car, you can freeze that degradation and continue listening to your music pretty much indefinitely.